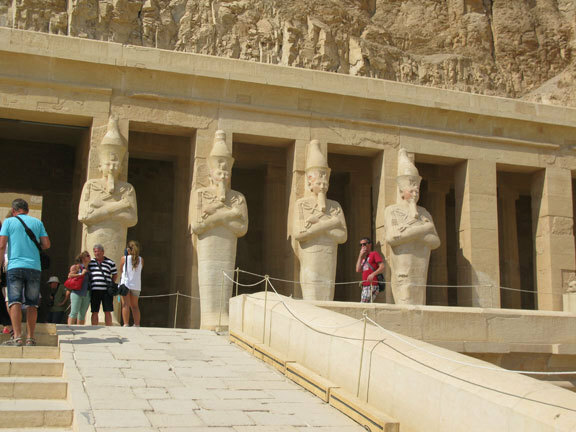 Queen Hatchepsut (1507–1458 BC), the first female pharaoh in Egypt, came to the throne in 1478 BC. 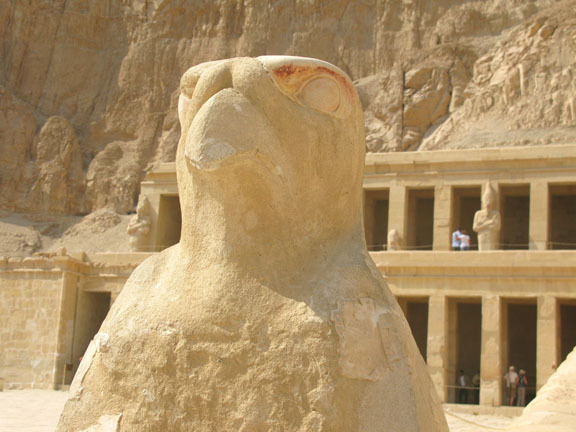 a position that had only been held by males. 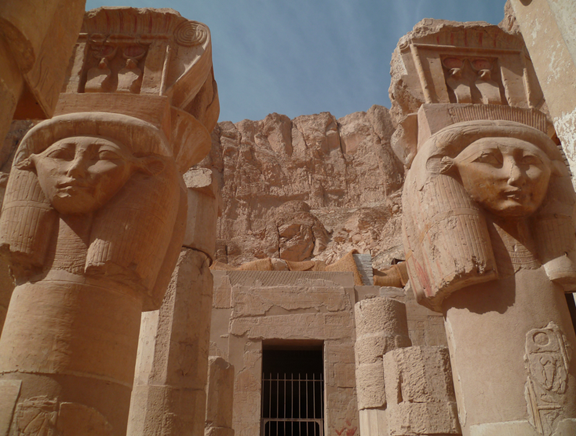 The temple was an impressive monument that allowed the posthumous worship of Hatshepsut, and conveyed the greatness of this female pharaoh. 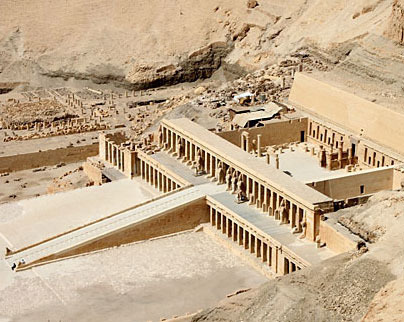 The 22-year reign of Hatshepsut is generally regarded as one of Egypt’s most prosperous, and major accomplishments were achieved by this extraordinary pharaoh, including the construction of her magnificent mortuary temple. 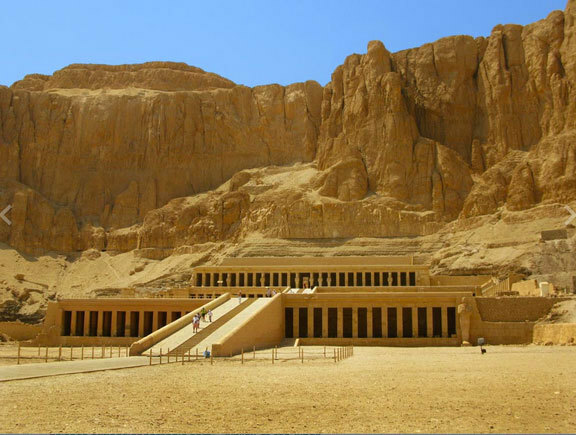 Hatshepsut's temple sits directly against a mountain. Its placement forms a natural amphitheatre around it. The temple seems to be growing out of the rock. Hatshepsut's temple is the best example of Egyptian classical style architecture. It took 15 years to complete. 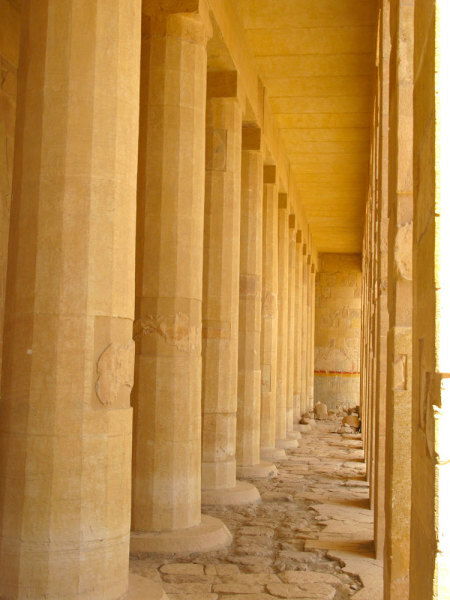 as Djeser-Djeseru (Holy of Holies).